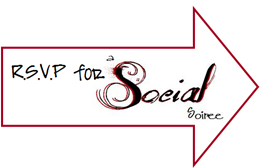 Reminder: A Social Soiree Twitter Party: Over $2000 In Prizes!!! As we prepare for the #SocialSoiree Twitter Party tonight, I want to make sure you have everything you will need to attend and enjoy the party! Don’t forget we have awesome sponsors and over $2000 in prizes to give away in 1 hour!!! It will be fast and furious but the prizes are worth it, so don’t miss it!! You can check out the twitter party sponsors below. Make sure to R.S.V.P. to be eligible to win!! Here are the in’s and out’s of how to attend! Sign up for a Twitter account at Twitter.com! At party time log into Tweetchat.com by signing in with your twitter account information. Type in SocialSoiree in the box at the top next to # as this will be our “hashtag” for the party. Start typing in the open chat box and hit update to send. This will look like a chat room. Once a Question is asked, simply answer the question and hit update. We will randomly select a winner and announce them. Then we will move to the next Question! Super easy, super fun! After the party is over, if you won a prize, you will receive a DM (Direct Message) giving you all the details! Make sure to follow @GroceryShopFREE and @SocialSoiree on Twitter (as well as the other Hostesses and Sponsors! Party starts tomorrow at 9:PM EST! 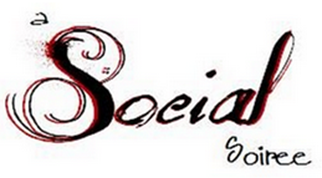 A Social Soiree Twitter Party: Over $1500 In Prizes!!! 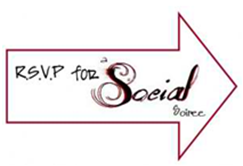 As we prepare for the #SocialSoiree Twitter Party tomorrow, I want to make sure you have everything you will need to attend and enjoy the party! Don’t forget we have awesome sponsors and over $1500 in prizes to give away in 1 hour!!! It will be fast and furious but the prizes are worth it, so don’t miss it!! You can check out the twitter party sponsors below.